Olloclip Active can be easily attached to iPhone with its double ended accessory that offers perfect grip. 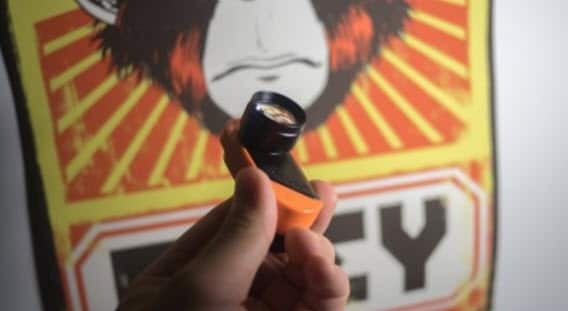 There is no need to spend on any additional olloclip case because the well designed shell of Olloclip makes connections firmer. The case is designed with tinted polycarbonate shell that is transparent enough whereas the attractive rubber bumper provides grip on edges. 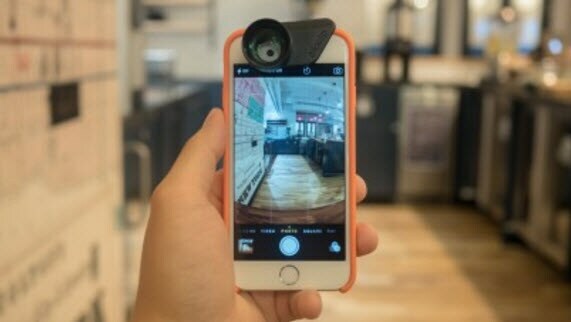 It provides protection to whole device but yes it leaves a large space around camera lens where you have to attach your Active; this part demands safety from user. The tripod mount connection is missing on this case so you will find it difficult to mount your smartphone on helmet, bike handle or on any other sports gear. If you are not an adventure sports lover then you will definitely appreciate the still capturing ability of Olloclip Active that extends perfect support to front iSight camera of iPhone so that anyone can enjoy selfie shots even without connecting selfie sticks. The zoom quality is extremely high that can make tiny things look like giants with finer details. This is definitely an intuitive experience to use Olloclip active lens with its self explanatory system. Once you get your lens, simply slot your phone in the specified location of this attachment at middle position but in case if you do not find those lenses well aligned then you may have to take away that plastic bumper from accessory slot. Olloclip Active offers wide selection for focal lengths and they leave different impact on captured photographs. If you are a beginner then you will definitely love to magnify far distance views with a 2x zoom ability that brings scenes much closer to your eyes. Note that, it can leave blurry images even when you make little undesired movements while focusing your camera on sight. While working with its wide angle lens you need to be more careful about placement of your fingers because this lens often increases its field of view as much as that it can capture your fingers in the stills. You need to avoid the situation by holding your phone accurately. However, the wider angle view leaves pretty cool large scene details for every shot. There are three lens options with Olloclip Active: you can switch to wide angle, fisheye and macro magnification. Each one of these possesses unique pros and cons; however, the selection depends more upon type and user and his/her focus preferences. If we talk about the wide angle lenses then you will find details little distorted and the bending object does not appear so good. The details are rated to be modest but you need to make special efforts to deal with noise around edges. However, cropping is a good option to get rid of those distorted portions from your image. Te fisheye lenses are not capable enough to produce desired details so they are not recommended so often. But the great news is that Olloclip is capable enough to work with front facing FaceTime and rear facing iSight cameras so you can enjoy a wide group shot with crazy friends, of course without leaving any one of them out of the scene. At the outer location, right after wide angle and fish eye lenses, you will find macro magnification labels. If you do not find above two suitable for your shots then you are finally left with only one option and that is macro lens. You will be glad to know that these macro lenses can be cleaned so easily to improve the detailing at sight. Olloclip is perfect choice for front facing cameras with its easy adjustment abilities. This product comes with plastic lens covers that are sturdy enough; they can be used to make easy connection with the keyring. However, you can also use a microfiber drawstring type bag for keeping your lens safe. There is no doubt to say that Olloclip Active is designed with lots of incredible features and it redefines the photography skills of every beginner. The wide angle lenses allow users to play with larger sights without losing the crispness in details. You can order your product now with payment of $99 only.